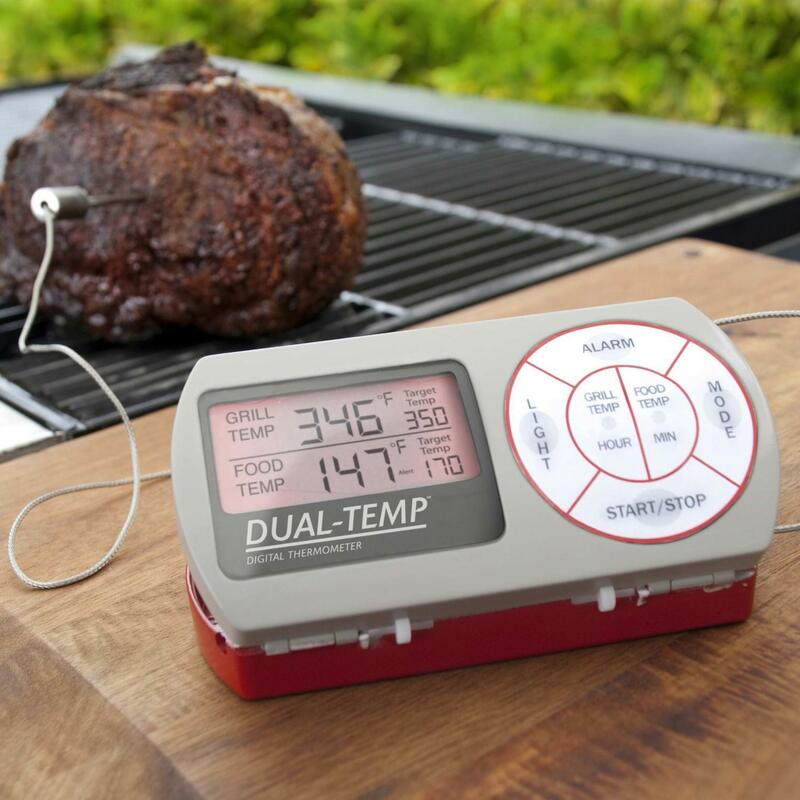 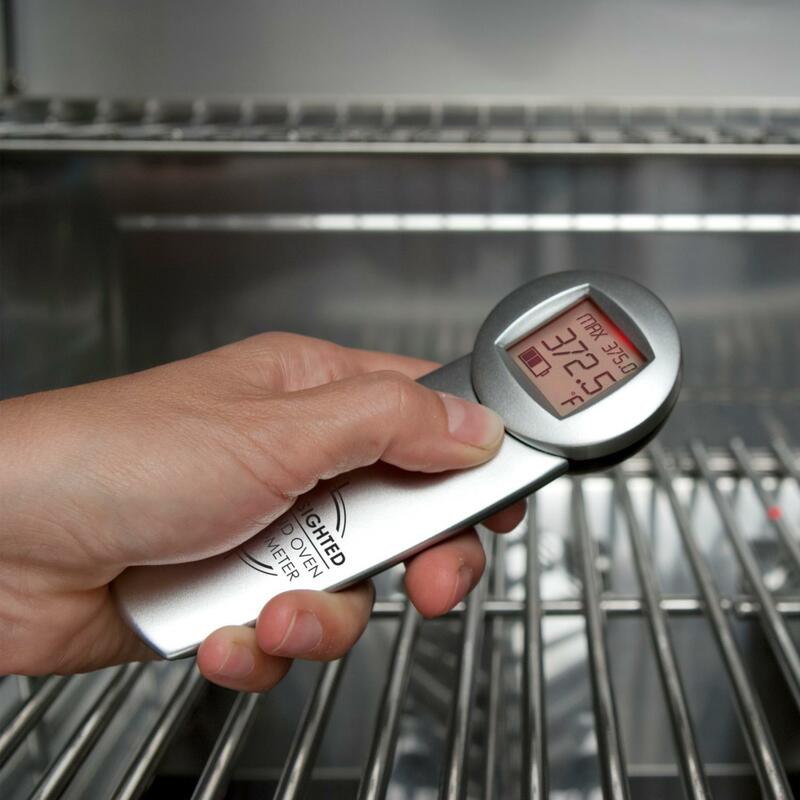 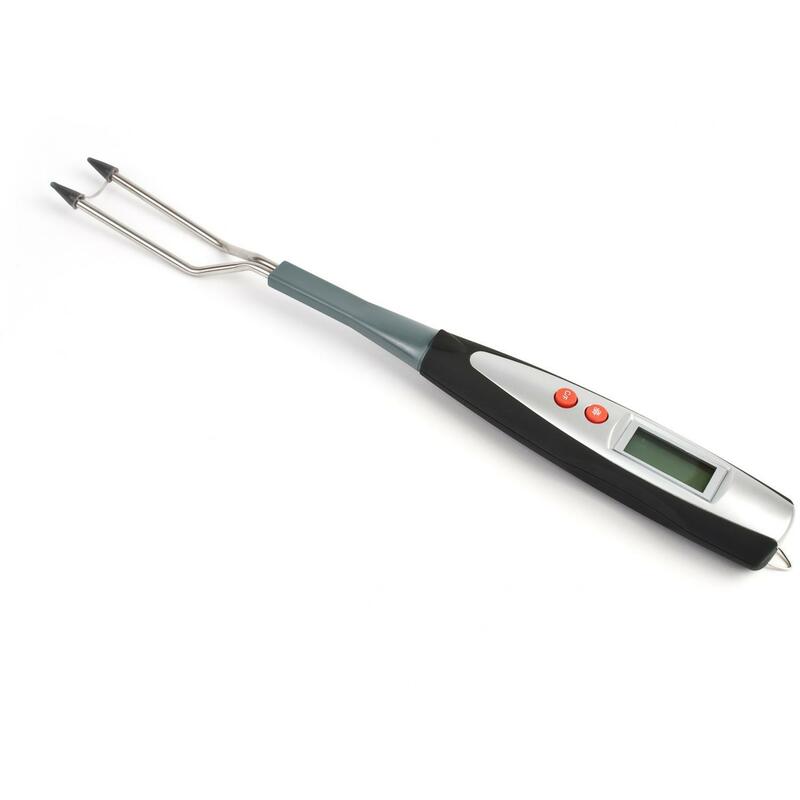 Product Description: Infrared Grill Thermometer. 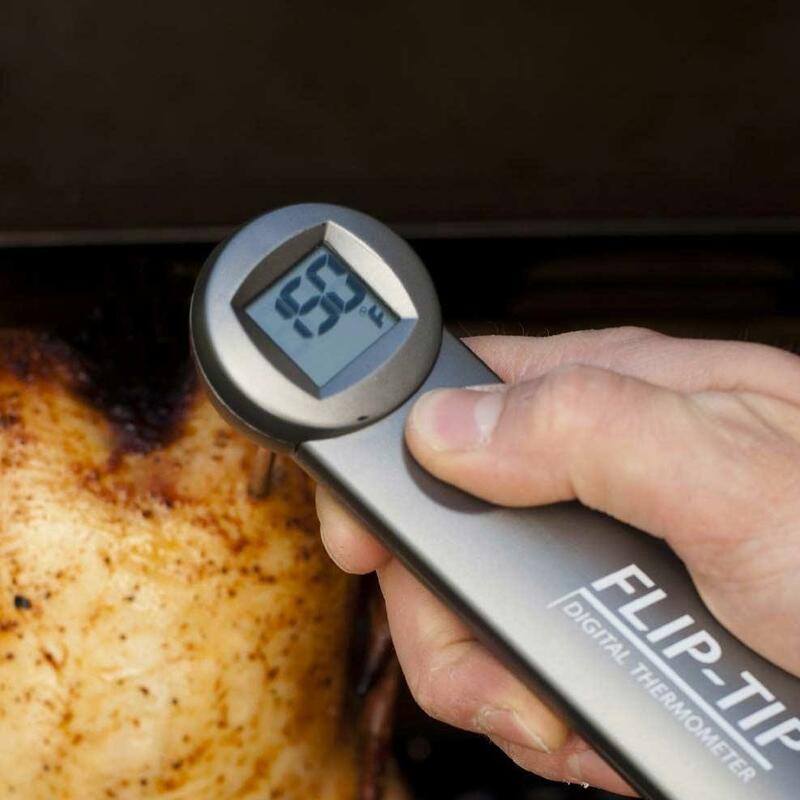 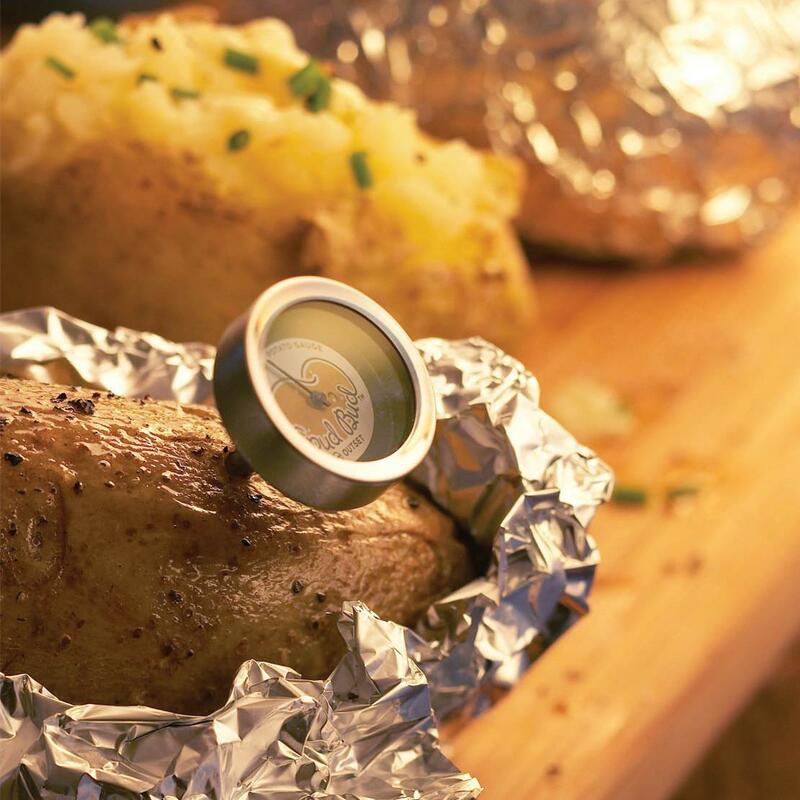 Safely and accurately measure the temperature of any cooking surface with this infrared thermometer. 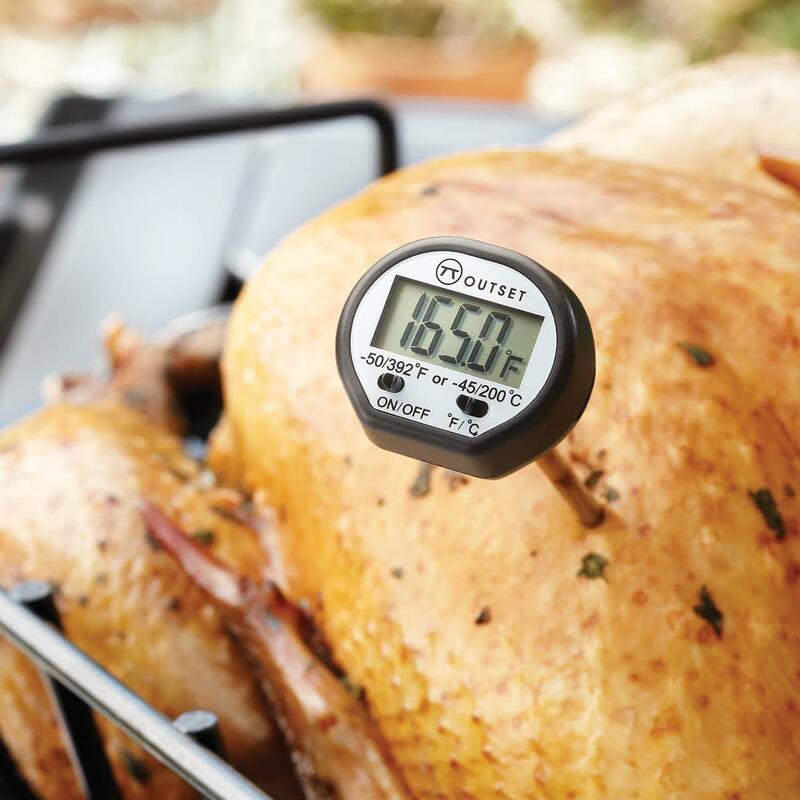 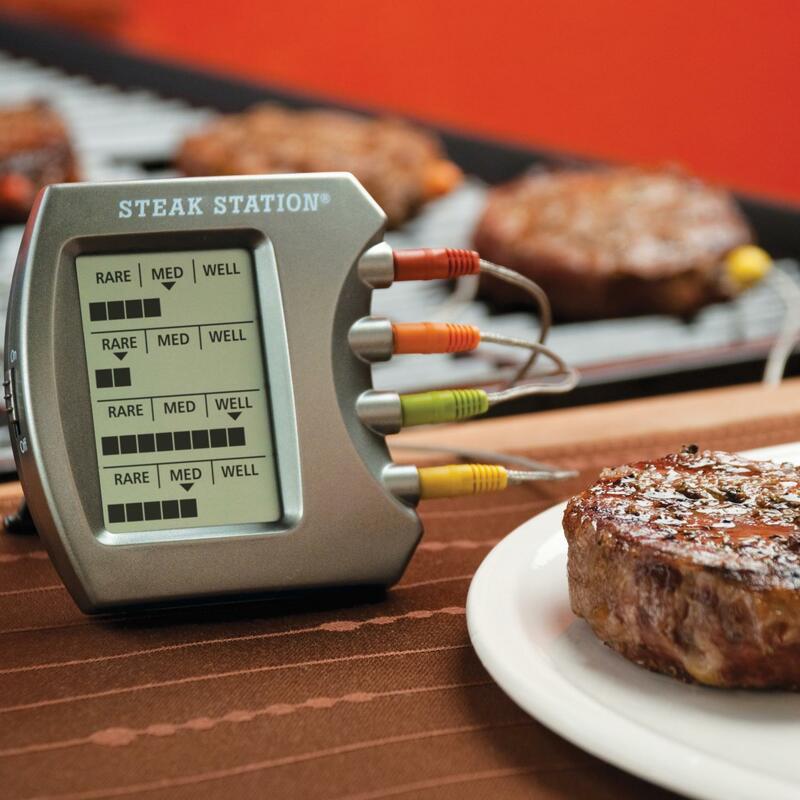 The infrared beam accurately measures the temperature of any cooking surface within a 5 foot distance. 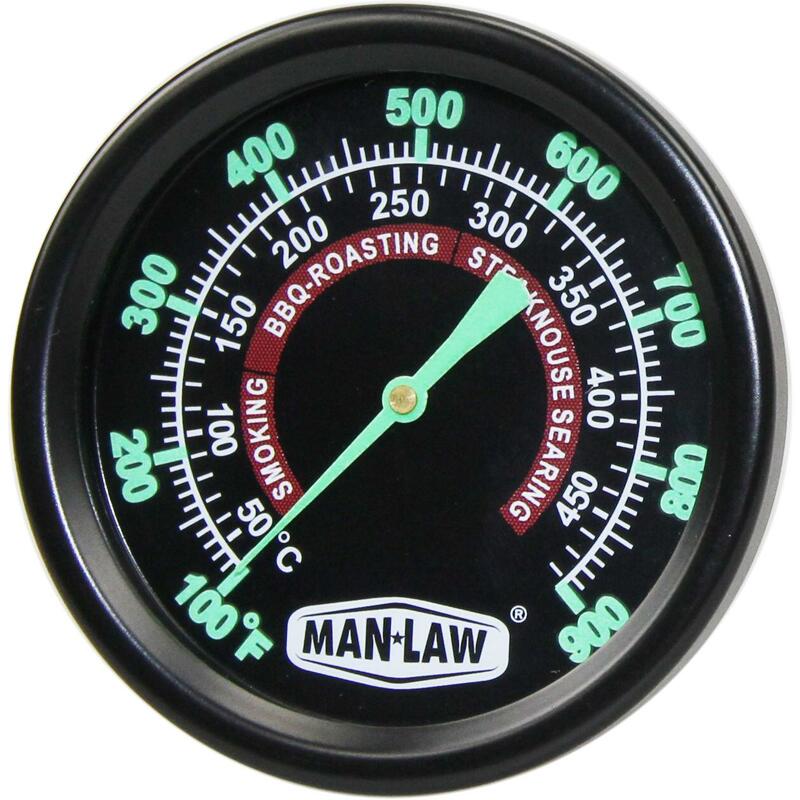 In 3 seconds the reading appears on the easy-to-read, red back-lit, LED display. 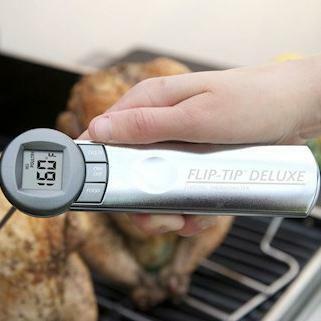 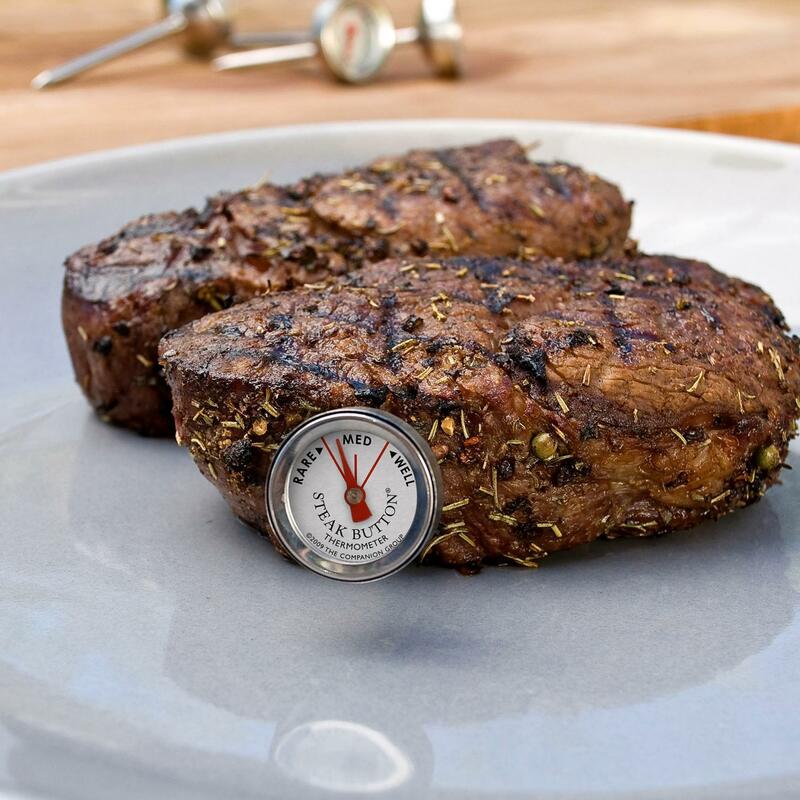 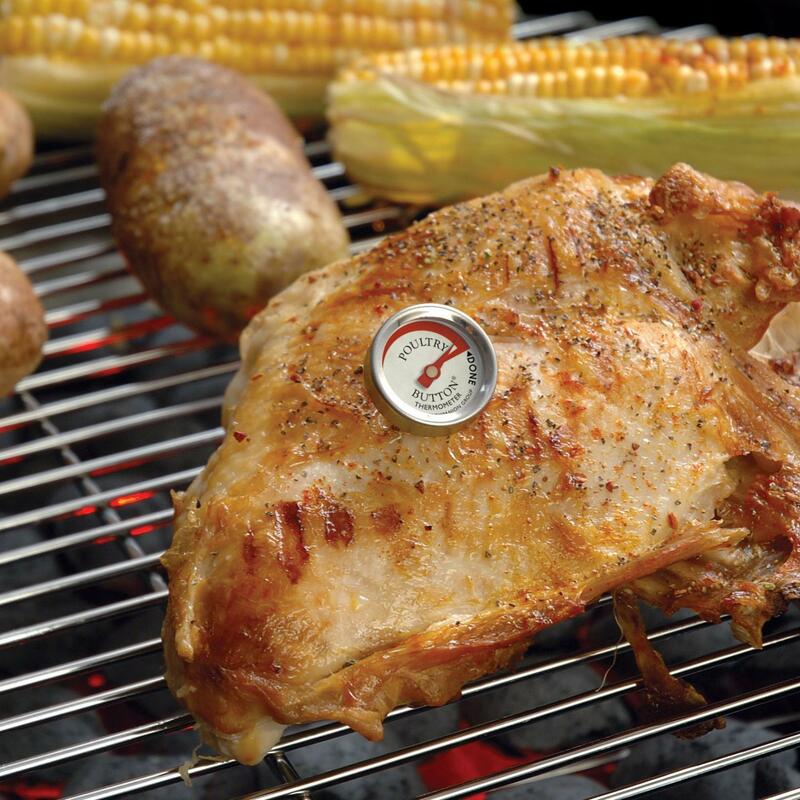 This thermometer measures a temperature range of 32 - 800 degrees Fahrenheit. 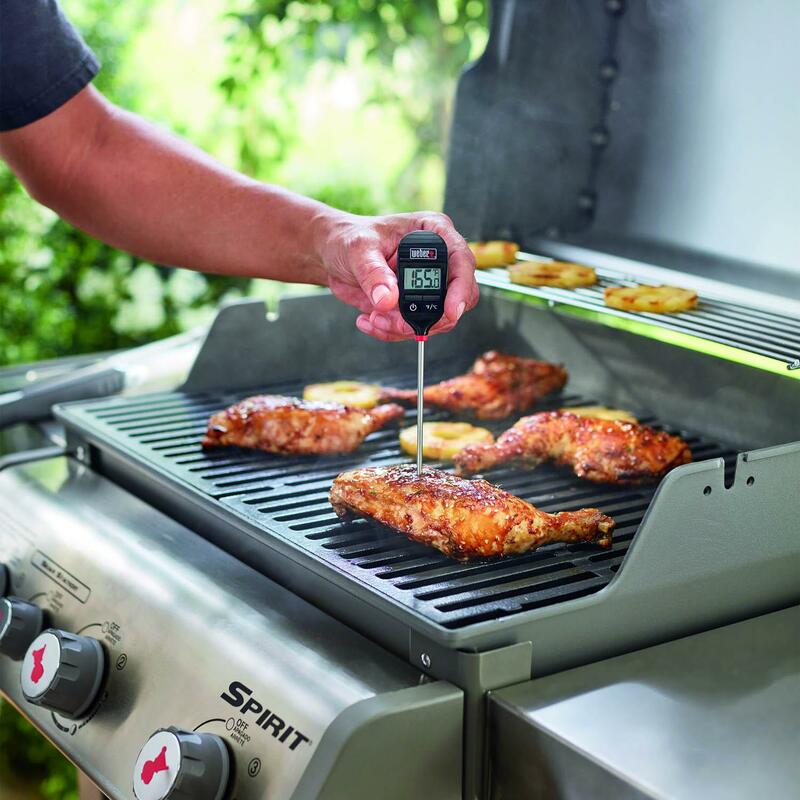 After 20 seconds without activity, the thermometer will auto power off to help preserve battery life. 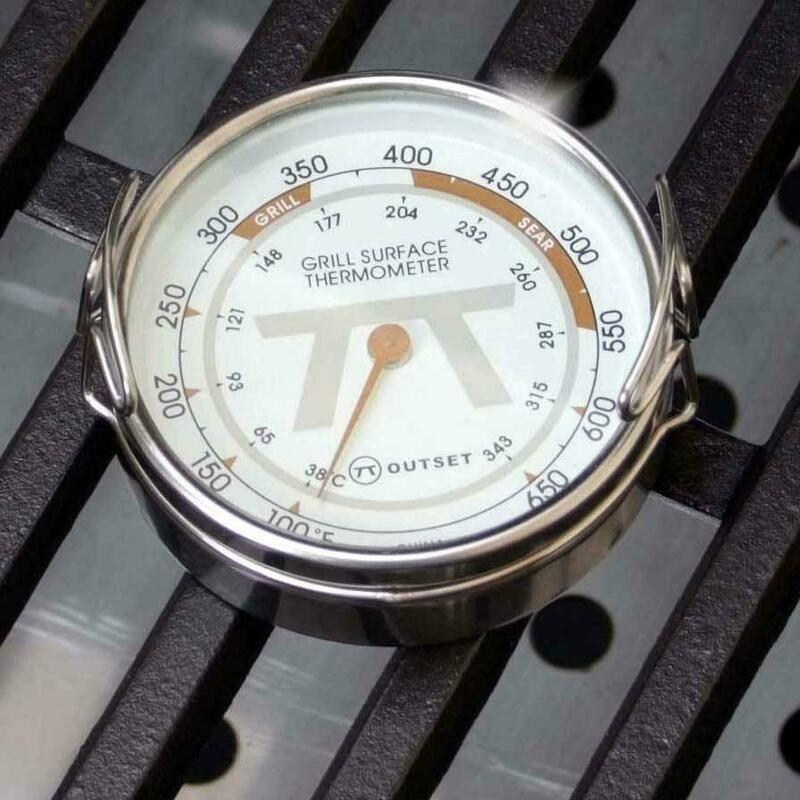 View the temperature reading in units of either Fahrenheit or Celsius. 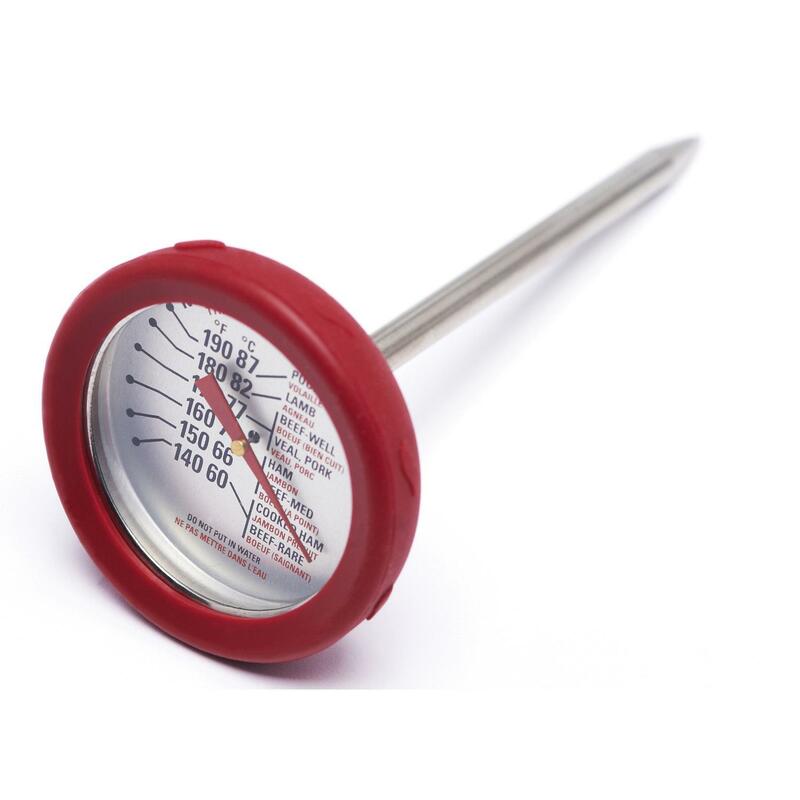 This thermometer requires only 3 AAA batteries (not included).